Looking to fill up your iPhone or iPad with free apps? Great deals are constantly popping up in the App Store, and here are 81 iPhone and iPad apps that are now free. 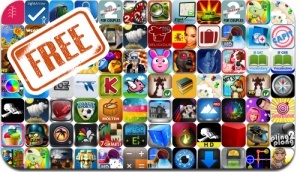 This apps gone free alert includes Pling Plong 2, Nuts!, Last Temple, Hunter and Wolves HD II, Zombie Caves, Bunny Popper, HungrySquid, PipeRoll, Fishing Stars, Lead Wars, and many others. Friendle+ ~ 7-in-1 Board Games for Friends!